For information on products and supplements please contact us at info@pfpexeter.co.uk. 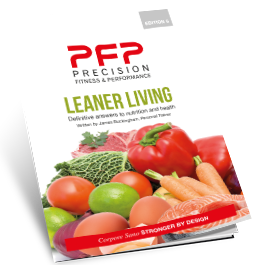 Purchase our nutritional information booklet which includes advice on what, when and how to eat for health, performance and optimal body composition. Suitable for everyone, no matter what your goals are. The idea for this book came after hundreds of consultations with clients and athletes and the realisation that people needed a clear, simple and concise reference for healthy nutrition. This book has been laid out in simple format giving lists of appropriate foods and ideas for each meal. It leaves no ambiguity and tells the reader exactly what to eat and drink and gives specific advice for healthy living. "Everyone, without exception that has followed the simple and natural advice in this book achieves better health, a leaner physique and has more energy to live life". The book will be emailed to you as a pdf document. BUY ONLINE, call 07814 604317 or email info@pfpexeter.co.uk to purchase your copy.